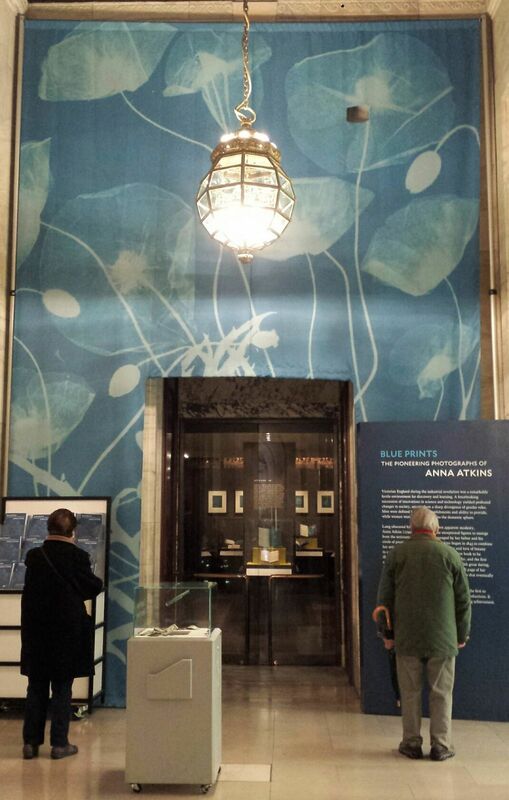 On the occasion of the exhibition Blue Prints: the Pioneering Photographs of Anna Atkins (1799-1871), The New York Public Library invited distinguished scholars in the fields of photography, conservation, natural history, and rare books to discuss her photography and its resonance. During today’s symposium panelists and speakers discussed the broader context in which she created her momentous production, as well as characteristics unique to Atkins’s pioneering work. Participants included Joshua Chuang, Miriam & Ira D. Wallach Associate Director for Art, Prints and Photographs, and The Robert B. Menschel Senior Curator of Photography, NYPL; Rose Teanby, Independent historian, Associate of the Royal Photographic Society; Richard Ovenden, Bodley’s Librarian, Bodleian Library, Oxford; Steffen Siegel, Professor, Folkwang University of Arts, Essen; Jessica McDonald, Curator of Photography, Harry Ransom Center; Mary Oey, Head of Conservation and Collections Care, NYPL; Jessica Keister, Associate Conservator for Photographs, NYPL; Kenneth Karol, Curator, Cullman Program for Molecular Systematics, New York Botanical Garden; Normand Trudel, Librarian for Rare Books, University of Montreal; Alice Lemaire, Conservator, Muséum national d’histoire naturelle, Paris; Nancy Barr, Curator of Photographs, Detroit Institute of Arts; and Julia Van Haaften, founding Curator, Photography Collection, NYPL. https://digitalcollections.nypl.org/collections/photographs-of-british-algae-cyanotype-impressions?keywords=#/?tab=navigation Few institutions hold either parts or a complete set of Photographs of British Algae and so, we are all grateful that NYPL has digitized their copy. 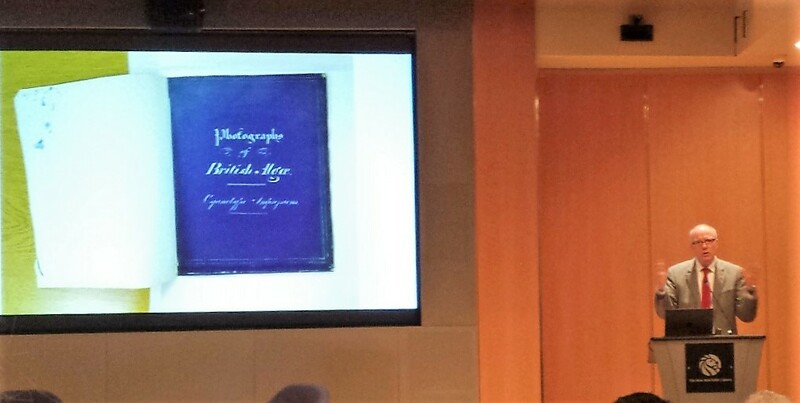 Speakers all agreed that Anna Atkins’ role in the narrative of early photography has been acknowledged only within the last 40 years. 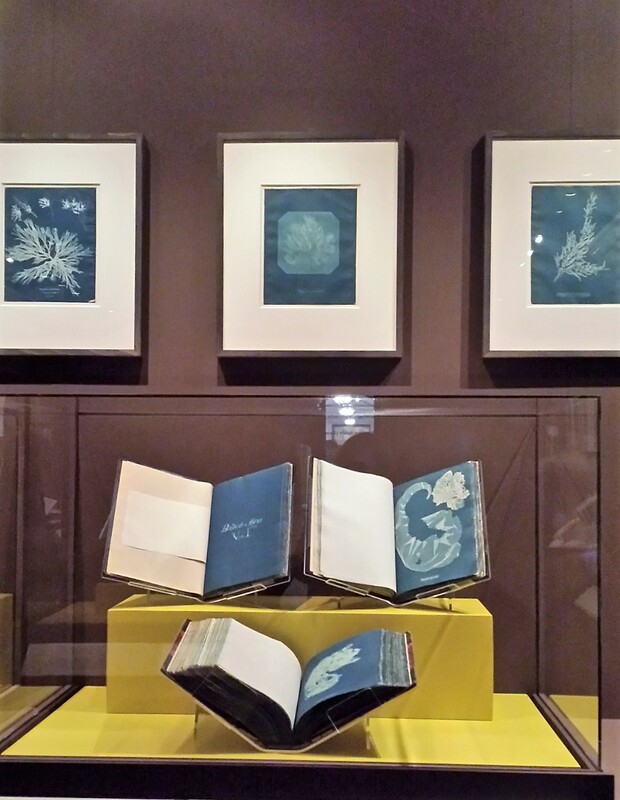 Since the publication of Larry J. Schaaf’s Sun Gardens: Victorian Photograms by Anna Atkins, [Marquand Oversize TR688 .S32q] scholars have built on this groundbreaking research and fortified the larger context of her work. 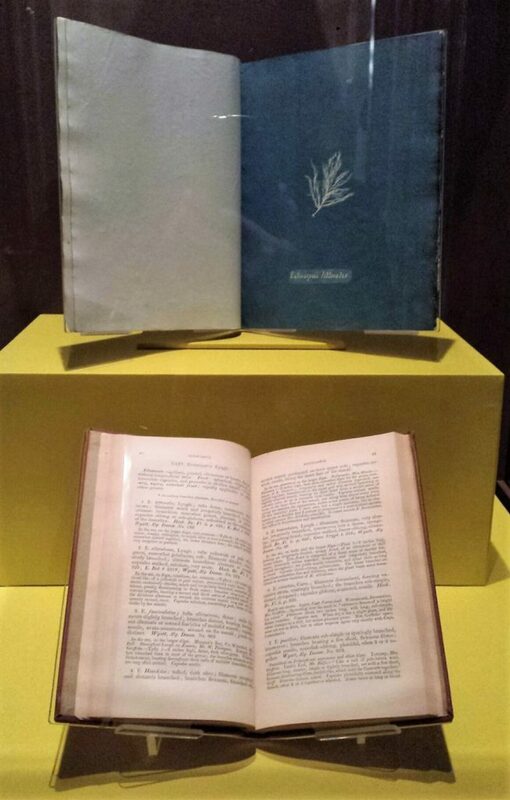 Although now famous for being the first book produced with photographic illustrations, Photographs of British Algae: Cyanotype Impressions has been viewed as an artwork, a scientific document, a rare book, and more. 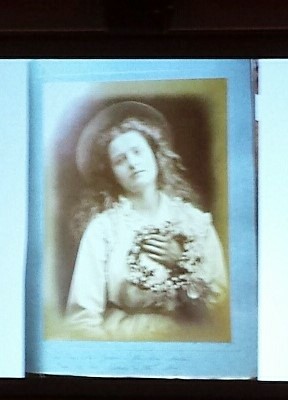 We now call Atkins the first female photographer. Although women were not allowed to join The Royal Society of London, Atkins contributed three volumes to the Society containing 433 photographic images in 1843, preceding William Henry Fox Talbot’s Pencil of Nature, published in 1844. One of many interesting observations made today was the presences of blue dyed paper as a support for photographs throughout the 19th century, including work by Julia Margaret Cameron [left]. Ovenden noted the trouble with impurities in papers that could be easily concealed under the blue coloring. Atkins’ photographic images were created as an accompaniment to William Henry Harvey’s 1841 guide entitled British Algae [Recap 8753.436], which had no illustrations. The two volumes are meant to be read side–by-side, Atkins’ images faithfully corresponding with Harvey’s survey. This entry was posted in Events, photographs on November 3, 2018 by Julie Mellby.